The McGann Library :: View topic - Ah Bless! A toast to Paul for St. Pat's! Posted: Mon Mar 13, 2006 1:06 pm Post subject: Ah Bless! A toast to Paul for St. Pat's! Well look there! 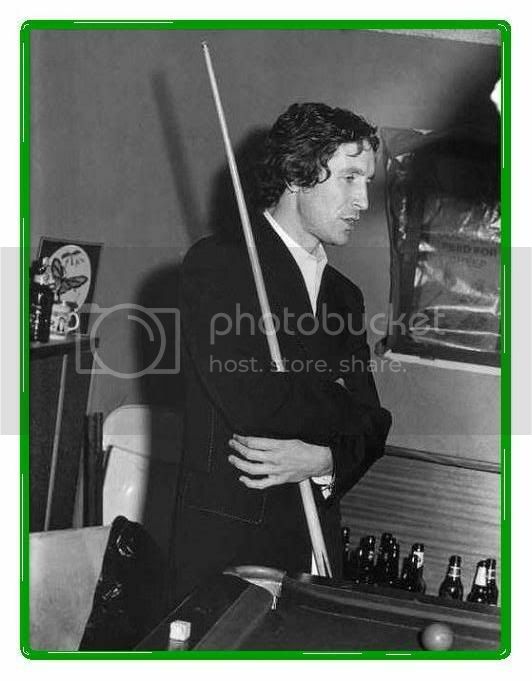 Paul's invited us down to the pub for a 'pint of plain' and a round of snooker for St. Pat's! And you know with every sip of your Guinness or Beamish, you'll be expected to offer up an Irish toast or blessing, appropriate to the man! May your cellar always have a red and a white, and may your cork never dry up. May you live as long as you like, and may you laugh every day you live. Posted: Tue Mar 14, 2006 7:02 pm Post subject: Re: Ah Bless! A toast to Paul for St. Pat's! Hee, at first glance I thought that said collar. I was trying to think, "Huh, why does a collar need a red and white? A red and a white what? Stripes? Reversible sides?" Maybe it's more like red lipstick kisses on a white collar. Umm, I can't think of anything so I'll plagiarise a toast before anyone else can beat me to it. To a delightful weekend in the country! May your collar always have a red kiss and a white fabric, and may your kisser never cork up. Well now we're gettin' somewhere! May you always run faster than your brothers. Good one, Teri! Nothing wrong with a little sibling rivalry. May your path through life be strewn with roses ahead and fainting fangirls behind.